Double glazing experts from Kent. Services include window installations & repairs, as well as conservatories, doors and porches. Top Row is an Exterior home finishing and renovations provider. Contact Top Row for your Siding, Roofing, Window and Door, and eavestrough needs. Offers an extensive range of curtain tracks and poles, all custom fit to the highest standard. Combining quality with value our wide variety of products means you will always find something to suit the design of your home. True View offers 24 hour emergency glass replacement and repair for homes, automobiles, and businesses in the Phoenix Metro area of Arizona. Vogue Window Fashion has burst into the custom window treatments and decor scene due in part, to its creative blending or eclectic design and contemporary creations. Offering a range of contemporary drapes to modern window shades. 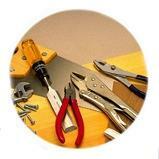 specialist for industrial and commercial doors, door repair and replacement. Specialises in uPVC framed double glazed windows and doors suitable to the commercial and domestic building sectors. The company was established in 1977 selling and installing windows, doors, conservatories mainly in the South West. Supplying and installing residential windows and doors in the halton region including burlington, oakville, milton and surrounding areas since 1984.